Do you have young children or pets? Have you ever found yourself on your hands and knees scrubbing at the carpet because your furry friend had an accident or your young child spilled something? 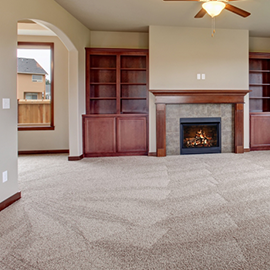 Is your carpet starting to look a little worn from all of the spills and cleanings you’ve had to give it? If you’ve answered ‘yes’ to all of these questions, then maybe it’s time to think about your options. When you have small children or pets you need to be ready to clean up a mess with powerful cleaning tools. You need to be prepared to face catastrophic messes that may or may not destroy some of your favorite items. It can be hard managing a home with children and pets, but when you start to cut corners to keep your home clean and tidy, it can be worth it. For instance, if you’ve always loved carpeting, but you’re finding it difficult to continuously clean the carpet every week because someone else had an accident, it might be time to start looking into a different type of flooring. At Zoltan European Floors, Inc. we offer hardwood flooring for a great price. Located in Danbury, CT, we’re able to install hardwood flooring in a timely-manner to make your life a little easier. As a parent or an animal lover, it can be difficult to watch your favorite items be destroyed by the people and animals you love most. Animals and children have a pension for unpredictability, which can be cute until they ruin some item you adore. When you have hardwood floors, the problems seem to become less little by little. In addition, when you decide you want a hardwood floor for your home, there are many out there that are tough and sturdy enough to support animals and children of any size. 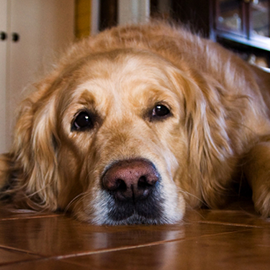 Hardwood flooring is durable and prepared to take any abuse your animal or child might throw at it. Below are a few good reasons to get a hardwood floor if you have a child or an animal. 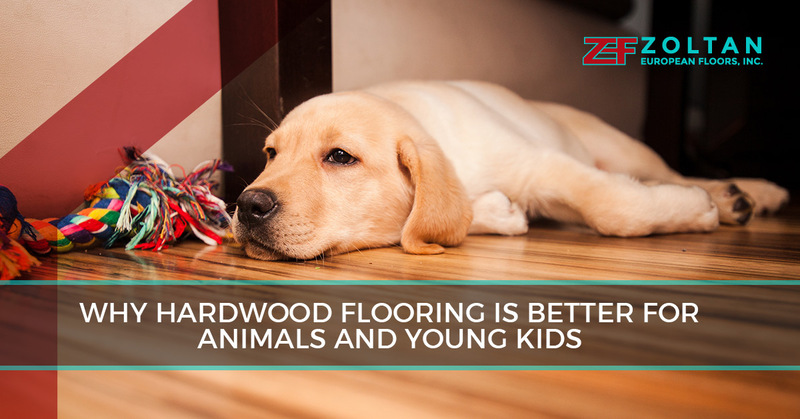 The first and biggest reason that hardwood flooring is great for small children and animals is how you’ll cut down on cleaning. Hardwood flooring might seem a little daunting because you might think it’s dangerous because of the sleekness of the floors, but children nor pets shouldn’t have an issue falling on it, even when cleaned. Cleaning for hardwood flooring is infinitely better than cleaning carpets. With carpeting, you have to steam clean it, worry about stains, and wash it in a specific manner to ensure you get out all of the catastrophic situation that occurred. Cleaning hardwood flooring is different than cleaning carpets, but it’s also easier and takes less time. If you’ve always spent your weekends cleaning the carpet due to an accident, then it’s time you check out hardwood flooring. You’ll be amazed at how quickly you go through cleaning and the amount of time you have for other fun activities. Furthermore, cleaning hardwood flooring is easy with liquids. Obviously, with children and animals you’ll find yourself around a lot of spills, but if you invest in hardwood flooring that is handscraped you won’t be faced with dented floors or scratches that might happen with some hardwood floors. 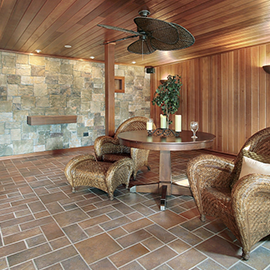 Hardwood flooring in the long run is much more inexpensive. You might think that carpeting is much more inexpensive because you have to install hardwood flooring; however, if you add up the cleaning products, the steam cleaning expenses, and all of the damage that might be sustained to your carpet, you’re saving money in the long run when you decide to go with hardwood flooring. Hardwood flooring is also much more of a long-term investment because it lasts much longer than carpet. Carpet can begin to discolor, begin to smell, and become moldy if not properly cared for. Hardwood floors as aforementioned are sturdy and durable. Hardwood flooring can go through a lot, especially if you pick out the right type of hardwood flooring in your home. If you have a large dog, a rowdy kid, or you wear heavy shoes, when you pick out the right hardwood flooring you’ll be amazed at how your hardwood floor stays strong through all of the abuse. You might think that hardwood floors can’t take the heat, but when you pick out the correct hardwood floor and take the proper care it, then you’ll find that your hardwood floors is able to be sustained for a long time. Hardwood flooring is easy to repair and when you find the right place to go, it doesn’t have to be that expensive. Repairs for hardwood flooring is a much easier process than carpeting. For instance, if you notice a huge stain on your carpet that doesn’t seem to be coming out, it can be a hassle to try and find the right carpet, match it, and then fix it. When you find something wrong with your hardwood flooring, you’ll be amazed at how easy it can be to fix when you call the right company. For all of your hardwood flooring needs, take the time to check out Zoltan. We offer many different types of hardwood flooring and we provide installation for a great price. If you’re tired of seeing stains, spots, and unsavory images on your carpet because of your pet or child, then it’s time you start looking into hardwood flooring.